Below is an excerpt from someone asking a question, who will most likely be joining us on a Peru: Machu Picchu/Cordillera Blanca combo trekking program in 2011. Here are a few of my thoughts and ideas and questions as I have started to read about Peru and hiking and Machu Picchu. I think we would like to have a day where we could do some type of community service so we could give back to the people and the country. Excellent, glad your thinking along these lines. Additionally, as you know, we are a unique educational organization – a hybrid, or cross between a guide service, an experiential educational org and a holistic learning center on the fly. So if you and the other participants are willing to step out of their comfort zone, try new things and be willing to let the place, the mountains, the people and the experience change you, then it will be a good fit. I get the feeling you and your friends fit this description. See you soon for an orientation. Pristine Water Bottle & Filter/T-Shirts in Peru’s Winter? sort out what to bring . Yes a couple of T-shirts will come in handy, as it will be warm enough, in the sun,…especially when walking or hiking. You can find fun T-shirts in Peru too, but the cotton is usually of a bit thinner quality. Just don’t forget a good poly-pro or fine-spun wool under layer regardless of the T-shirt decision. Water Bottle: According to the doctor*, (*see previous post on Travel Essentials) the water bottle is his front line of defense. He has used it daily in India, Peru etc. as has his wife, who I also met at the office. Both he and the water bottle have a good reputation. The beauty of this device is it frees one up from purchasing tons of bottled water, and thus, reduces the plastic purchased. 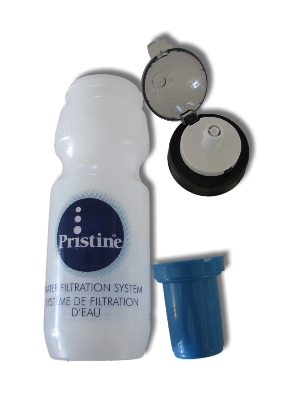 When we do purchase bottled water, we can also pour that into the bottle/filter, which is really doubling up on protection, however I’ve drunk bottled water for years and never had a problem as long as I check the seal to make sure it’s a new factory sealed bottle. I’m in cusco, and I found your website while searching for how to shop ethically while in Peru. I am particularly interested in musical instruments. Do you have any reccomendations or contacts you could share with me? I will put you in touch with Guillermo Seminario, the musical director of Chimu Inka in Cusco. First, regarding Fair Trade, the only thing to watch out for are guitars that may be manufactured in China, otherwise all other guitars, and all zampoñas and flutes will be either be made locally in the town or village, or on the coast such as Lima or Trujillo and shipped up to the mountain Gringo Trail towns in Peru. Regarding quality, there are tourist grade instruments and professional grade which are calibrated at 440 hz (concert pitch) by the maker. And even with pro grade, it can be difficult to know you’re really getting concert pitch instruments unless you happen to carry an electronic tuner with you. Guillermo Seminario, USA/Peru Music Exchange and Cusco Music Exchange Program Director for Mountain Spirit Institute, makes all his own flutes and zampoñas, and a cousin of his is in the charango manufacturing business on the coast.